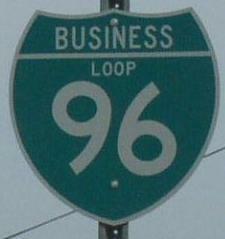 Business Loop Interstate 96 is the main east-west highway in Howell. It runs between M.P. 133 and M.P. 141 on Interstate 96. 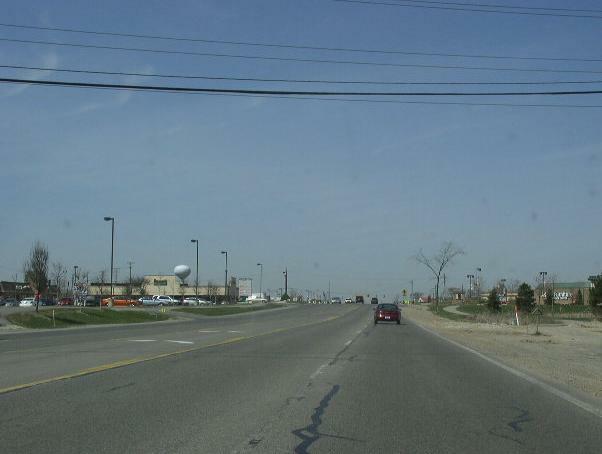 BUSN Loop I-96 passes through the following town in Livingston County. BUSN Loop I-96 is multi-plexed in Livingston County. 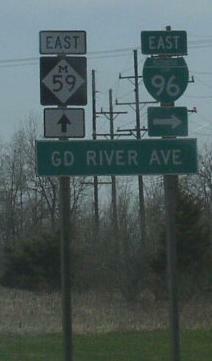 Michigan State Route 59, near Howell. BUSN Loop I-96 intersects the following highways in Livingston County. A BGS on EB I-96. 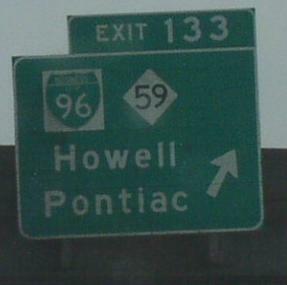 EB BUSN Loop I-96 in Howell.